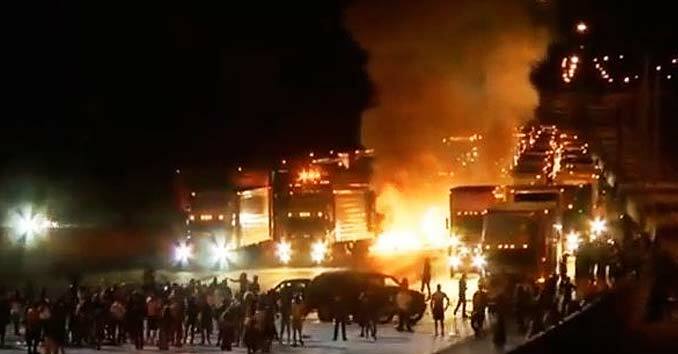 Charlotte, North Carolina is in total chaos after a night of wanton violence and looting in the wake of a police shooting. The police report suggests that the man who was shot was wielding a gun, while protesters claim he was only holding a book. During last night's rioting someone in the crowd shot and critically injured a bystander and four police officers were injured. Rioters also attempted to light a photographer on fire. The country is coming apart at the seams. We are just sad and shaken by these events in Charlotte. What a waste.